On Monday’s Breitbart News Daily, University of Maryland business Professor Peter Morici told SiriusXM host Alex Marlow that Democrats’ constant allegations of racism and sexism – while they, and institutions they dominate, systematically discriminate against white males – were a major reason Donald Trump was able to defeat Hillary Clinton. “The Democratic Party – and Hillary Clinton, a great champion of this – has been advocating that every group in America practice identity politics, except white heterosexual males,” said Professor Morici. “Now, for the metrosexuals that live in New York City and go to Columbia University and get jobs on Wall Street and make lots of money, they can afford to ignore it and just say, ‘Well, you know, I live a privileged life. This is the price of doing it.’ But you know, if you’re a mother with two sons in Michigan and the factory’s closed and your husband’s unemployed, and you send your kids to the public schools and they confront a well-oiled machine to keep down white males, you’re gonna vote the other way. This was a motherhood issue as much as anything else,” he said. 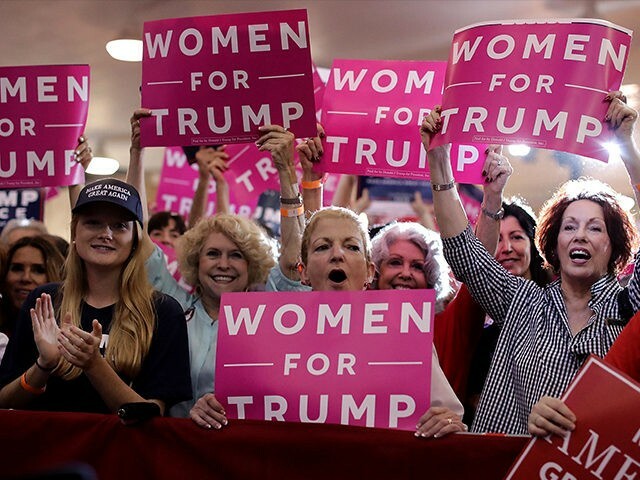 “That’s why she didn’t get those women voters among folks that had not graduated college in those parts of the country. Her form of feminism discriminates against their sons. It’s racist. It’s sexist. My university practices it. Just about every university in the country practices it,” Morici lamented. “For example, do you know that 60 percent of the college graduates are females? Now, if we just had wrapped up eight years of Donald Trump and that was the case [in reverse], they’d be screaming bloody murder that he wasn’t using the Department of Education to level the playing field,” he contended. “Instead, the Department of Education is systematically pushing universities to further bias the system against boys, and it does it very, very well. More boys drop out of high school, fewer go to college, fewer graduate, and so it goes,” Morici said.